Perfect for those with sensitive skin! Redheads always have to pay special attention to the sun and their skin. 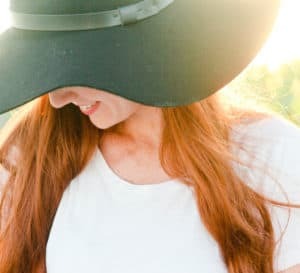 We can’t hesitate to grab a pair of sunglasses to protect our eyes, a hat to protect our head and red hair, sunscreen for our lips… and sunscreen for the FACE! Many redheads do not want to apply sunscreen to the face because they think it will be too harsh, causing irritations and breakouts. But, it’s the most important place to apply SPF. It is true. Some sunscreen products can cause minor irritation or give a slight red reaction. The good thing is we now have options, and many to choose from. Over the years, I have found these are the best SPF products to use on my face to keep the damaging SPF rays away –– all without irritation. Depending on how much makeup you’re wearing, you can choose the right product you like and still keep your regular skincare and makeup routine. Foundation is a super easy way for redheads to get their much-needed SPF without thinking about it. UVA protection fights aging in the thickest layer of the skin. UVB rays are the ones give you a sunburn and also can play a key role in skin cancer. This is why it is important to make sure your foundation has “broad spectrum” listed on the packaging. 1.L’Oreal’s True Match Super-Blendable Makeup is a great broad-spectrum SPF 17 foundation. It contains zero oils, fragrances or pore-clogging fillers. It also is infused with benefiting ingredients such as Vitamins A and C.
2. 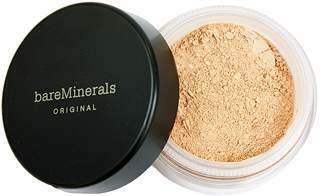 If you are a fan of loose powder foundations, bareMinerals Original Foundation Broad Spectrum SPF 15 is buildable, lasts for up to 8 hours and formulated without parabens, binders or fillers. It is also recommended by The Skin Cancer Foundation as an effective broad spectrum foundation sunscreen. 1. Sometimes we may not want to put on an entire face of makeup but want that extra protection. It Cosmetics Your Skin But Better CC+ Cream does a lot for your skin beyond protecting it from the sun’s harmful rays. Filled with an SPF 50+ broad-spectrum sunscreen, this product is also jam-packed with collagen, peptides, niacin, hyaluronic acid, antioxidants and vitamins A, B, C and E to keep your skin feeling and looking healthy. Available in seven shades, this product can protect your skin, color correct, and hydrate your skin with anti-aging ingredients. 2. 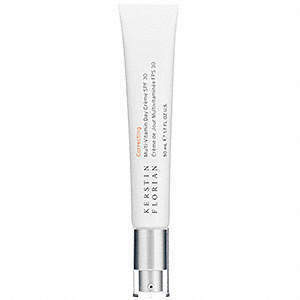 Kerstin Florian has a great anti-aging Correcting Multi-Vitamin Day Crème with a broad spectrum SPF 30 inside. This nutrient-rich daytime cream can be worn alone or under your daily moisturizer, leaving your skin hydrated, protected and luminous. Probably the easiest sun protective product to find for your face is a daily moisturizer. You can find them in just about any retail or drugstore, not to mention at any cosmetic counter in most department stores. The thing about moisturizers is it is hard to know which one has the right formula for your skin. With the addition of an SPF, some moisturizers can make a ginger’s skin red and irritated. This is the time people with sensitive skin really need to look at ingredients and reviews before they purchase one. 1. 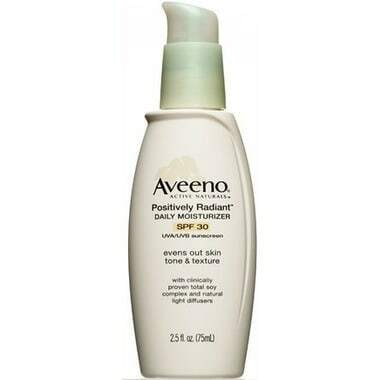 Aveeno’s Positively Radiant Sheer Daily Moisturizer SPF 30 has always been a staple on my vanity. It is lightweight yet hydrating and leaves the skin smooth with a matte finish. It absorbs quickly and is formulated for people with sensitive skin. 2. 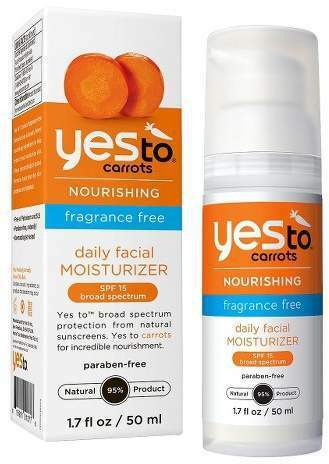 Another great product I discovered years ago was YES TO Yes To Carrots Daily Facial Moisturizer SPF15. This broad-spectrum, paraben-free moisturizer is 95% natural. With a mix of carrots and shea butter, this non-greasy nourishment is perfect for your face. Redheads will also love the fact the sun protection comes from a sensitive skin friendly SPF of zinc oxide and titanium oxide. Combined with natural oils from sunflower, pumpkin seed and sweet almonds, this lightweight formula will keep your face moisturized and protected. New on the scene for people looking for a good facial product with an SPF is a face primer. This is a really fantastic way to not only prep your skin for your makeup but also a way to sneak in some much needed SPF. 1. L’Oréal Paris Revitalift Miracle Blur Instant Skin Smoother is a smoothing primer that does more than just prep and protects. It blurs lines, wrinkles and uneven skin texture while nourishing and protecting the skin from any harsh elements from the environment. Its gentle texture blends easily into your skin leaving it feeling soft with a matte finish. 2. My new favorite ‘redhead friendly’ primer is NARS Smooth & Protect Primer Broad Spectrum SPF 50 Sunscreen. This oil-free formula gives you a weightless, broad-spectrum sunscreen to protect against environmental damages, as well as the sun. It enhances the look of your makeup by giving your face a smooth canvas to create your perfect look! Many think a leisurely drive or some tasks outside the house does not require sunscreen, but this is when incidental sun damage can occur. Sun can still come through windows and not having a sunscreen on can invite damaging rays into your space. 1. 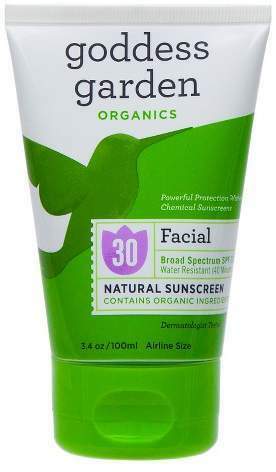 Goddess Garden Organics has a natural facial sunscreen with an SPF 30. If you’re an H2BAR Box subscriber, you have received a few sample products of this product! Packed with natural antioxidants including aloe vera and shea butter, this sunscreen can be worn easily without makeup. Its non-greasy formula is lightly scented with lavender essential oils. If you only want to wear a protective sunscreen to fight off skin-damaging rays, this is a great way to protect your face, especially if you have sensitive skin. If you want to put on a full face and your products do not have sun protection, you can also add the Goddess Garden natural sunscreen to your existing moisturizer or foundation to keep the sun’s bad rays at bay. 2. Neutrogena’s Ultra Sheer Dry-Touch Sunscreens are another great ‘redhead friendly’ option. Its dry touch technology goes on clean and absorbs quickly for an invisible, weightless feel. It leaves your skin with a matte finish with its oil-free formula. PABA free and non-comedogenic, this sunscreen is a favorite with many dermatologists. They come in a range of SPF’s –– from 30 all the way to 100+. 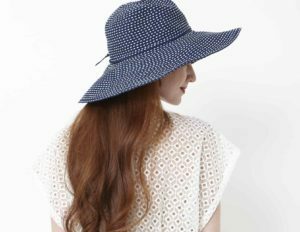 Being a redhead does not mean you have to stay inside on those beautiful sunny days. It’s all about enjoying the sun while staying sun safe. Just remember, wear sunscreen daily — even on cloudy days!